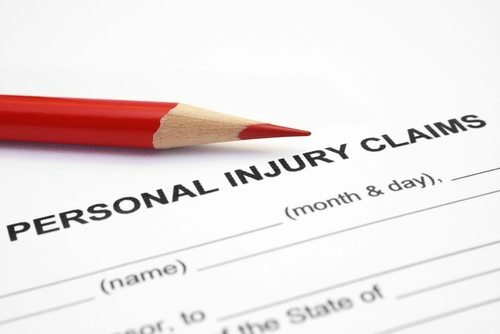 Do You Know These Elements of a Personal Injury Claim? Being injured in an accident that is not your fault can be a frustrating and devastating experience. It can also be costly. From extensive medical bills to lost wages, the expenses related to an injury can be astronomical. In order to avoid such a large financial burden, injured parties will often file a personal injury claim in order to recover compensation. However, filing for financial restitution is not always as simple as it seems. Do you know these critical elements of a personal injury claim? In order for a personal injury claim to exist, the court must first establish that a duty was present. For example, a doctor owes his or her patient a duty to do no harm. A driver on the road owes a duty to other drivers to drive safely. If no duty was present, it is likely that a personal injury claim cannot be filed. Second, it must be proven that the duty was breached. In the above examples, the duty a doctor owed to his or her patient would be breached if he or she administered the incorrect dosage of medication. The duty the driver owed to other drivers on the road would be breached if he or she was using a cell phone while driving. If the court ascertains that the duty the defendant owed to the plaintiff was indeed breached, a personal injury claim may be pursued. It must be proven that the breach of the duty the defendant owed the plaintiff directly caused the plaintiff’s injuries. Again using the above example, the patient must prove that the doctor’s medication error caused direct injury, such as an overdose. The injured driver must prove that the injuries he or she sustained were a direct result of the accident, such as a brain injury or broken bones. In either of these cases, past illnesses or injuries that are not a direct result of the accident would not be covered under the claim. Finally, it must be proven that damages were sustained by the plaintiff as a result of the injuries. Damages include but are not limited to financial damages, vehicle damage, lost wages, and emotional or mental anguish. Even if all of the above are true, the court will not be able to make an award to the plaintiff without clear proof that damages were sustained. The most critical element of a personal injury claim is a seasoned Ocala personal injury attorney. By working with a skilled lawyer, you can know from the outset of your case whether you have a strong claim or not, and can increase your chances of a successful result. Contact the Slonaker Law Firm today to discuss your injuries, and to begin putting together a solid claim for the maximum financial compensation possible. Call today at 352-629-6656 or toll free at 888-629-6656.